When visiting the clinic, the patient is fully aware of the expenditure to be expected. The prices for the services at the Dr Apine Dental Clinic are simple, clear and with no hidden additional payments. Moreover, get even more value by applying for the Family Card at our clinic. 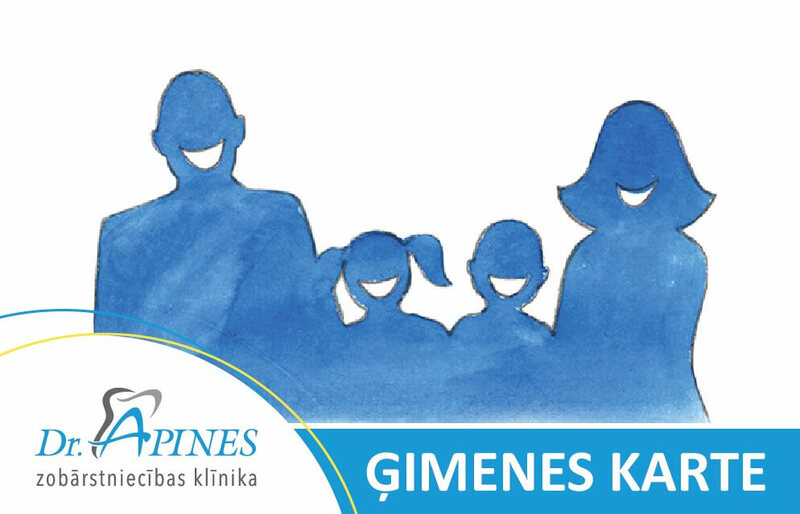 If you visit the Dr Apine Dental Clinic together with your family you will receive special offers. The Family Card is only issued and activated if at least two family members visit the clinic. Special offers of the Family Card. Apply for your Family card at our clinic’s administrator.